Join the Best – Team RYTECH! Rytech has steadily grown since its inception in 1995. 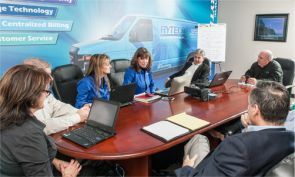 Insurance claims professionals realize Team Rytech’s fresh approach is exactly what the industry has been looking for. Because of our specialized field of work, advanced cutting-edge technology and successful strategies, Rytech is repeatedly recommended for residential and commercial water claims by insurance carrier partners, agencies and adjusters. Our success is driven by selecting highly motivated individuals with drive, dedication and an attitude to excel. Founder, William D. “Bubba” Ryan, passionately pursued his vision to change the way the insurance industry handled property damage due to water loss. Because of his dedication and forward thinking, Rytech has expanded from its humble beginnings in one metro Atlanta location to servicing 40 major markets in 20 states! Our reputation in the insurance industry is second to none and the demand from the carriers is high for Rytech to have a national footprint. Plans for future growth are underway which include expansion into multiple new metropolitan markets in the upcoming year. 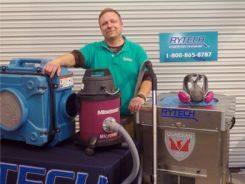 Rytech equips franchise owners to lead and manage a sound, successful business. Proven Emergency Mitigation Processes that Save the Industry Time and Money! A Company Dedicated to Your Success! Take control of your future and realize your dream! Complete the short form to the right to learn more.